Taking a supplement may be a part of your daily routine, but a new study from Johns Hopkins shows that not all of them may be safe. After analyzing 10 years of medical data on over 2,700 people, researchers say that taking calcium supplements may actually damage your heart and put your health at risk. The findings suggest that, when taken in supplement form, calcium has a tendency to cause plaque buildup in arteries, which can lead to lasting damage, or even a heart attack. This goes against preconceived notions that many consumers have about how much they should indulge when it comes to supplements. "When it comes to using vitamin and mineral supplements, particularly calcium supplements being taken for bone health, many Americans think that more is always better," said Dr. Erin Michos, associate director of preventive cardiology and associate professor of medicine at the Ciccarone Center for the Prevention of Heart Disease at the Johns Hopkins University School of Medicine. "But our study adds to the body of evidence that excess calcium in the form of supplements may harm the heart and vascular system." As alluded to by Michos, this is not the first time that calcium supplements have been investigated. 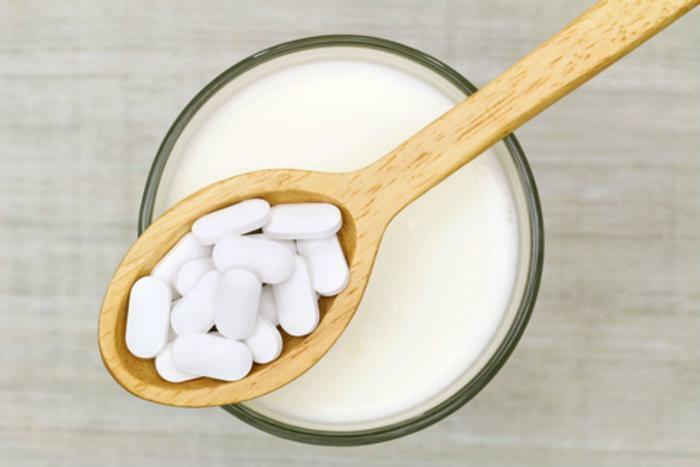 Previously, scientists found that “ingested calcium supplements – particularly in older people – don’t make it to the skeleton or get completely excreted in the urine,” leading them to believe that they were “accumulating in the body’s soft tissues,” according to co-author Dr. John Anderson, a nutritionist and professor emeritus of nutrition at the University of North Carolina at Chapel Hill. Connections between old age and calcium-based plaque build-up – which leads to impeded blood flow and increased risk of heart attack -- had also already been discovered. So, in order to find out more, the researchers conducted a multi-ethnic study spanning 10 years that focused on 2,742 participants, each between the ages of 45 and 84. After controlling for a variety of factors, each person was asked to provide information on their dietary habits and what kind of supplements they were taking so that the researchers could assess their calcium intake. Afterwards, a CT scan was taken to measure calcification of the arteries and provide a calcium score. Ten years later, participants were assessed again to check for developments of coronary heart disease. The findings showed that participants who took calcium supplements were 22% more likely to have a coronary artery calcium score above 0, which suggests the development of heart disease. The researchers believe that the difference derives from how the body handles calcium from food versus how it handles it in supplement form. "There is clearly something different in how the body uses and responds to supplements versus intake through diet that makes it riskier," said Anderson. "It could be that supplements contain calcium salts, or it could be from taking a large dose all at once that the body is unable to process." The researchers want to stress that consumers should not avoid calcium based on their findings. In fact, they say that making sure that your body gets calcium from your diet should be a major focus. The full study was published in the Journal of the American Heart Association.